Google has already changed the way we live in many ways thanks to its search engine and its mobile operating system. But the company is taking new steps to change the future with its projects that look right out of a science fiction novel. Here are nine of them. 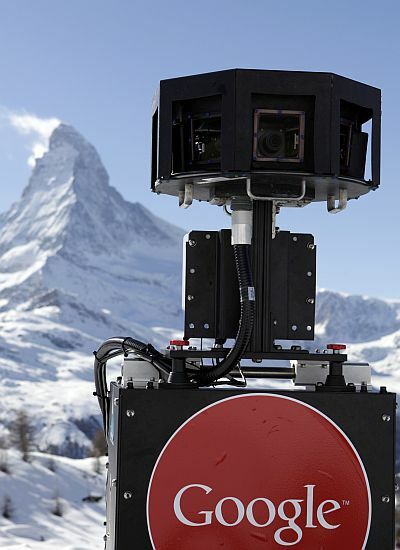 Image: The Google Street View snowmobile camera. Google and CIA have invested in ‘future’ of web monitoring. Both have invested in a company that monitors the web in real time and uses the information to predict the future. The company is called Recorded Future. 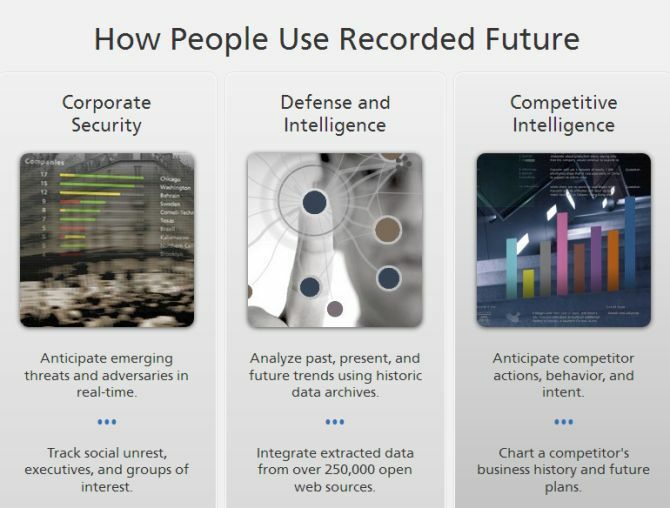 Recorded Future goes through huge amount of data from websites, news, social networking site, and blogs to find relation between events, organisation, events and people. 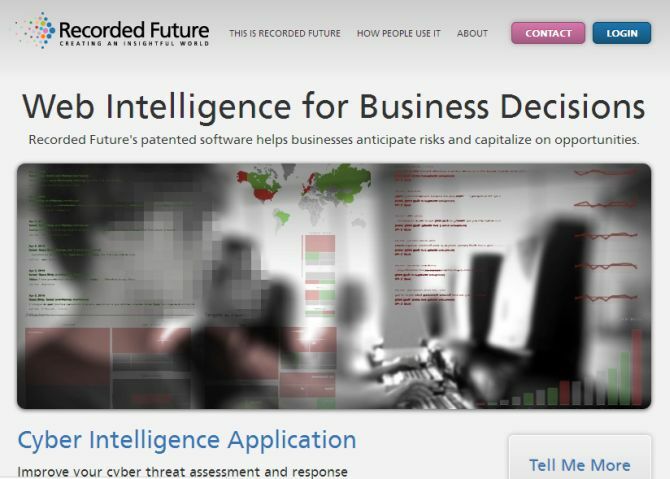 Image: Screenshotof Recorded Future website. Here’s an example of how it works: Using its analytics, the company has predicted iPad 5 release dates on its blogs. 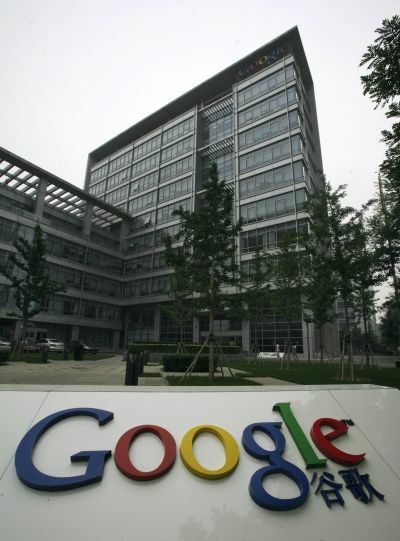 Image: Google's China head office. Here’s another example: On March 21, 2010 Israeli President Shimon Peres alleged that terror group Hezbollah has Scud missiles. When Recorded Future analysed the information from the web, it was able to corroborate the Israeli President’s claim. One key parameter in the analysis was Hezbollah Leader Hassan Nasrallah’s rhetoric and how it changed over time. Google has ventured into a biotech company called Calico that focuses on health and well-being, in particular the challenge of ageing and associated diseases. It is speculated as a venture that would help humans to age slowly in turn increase average lifespans. 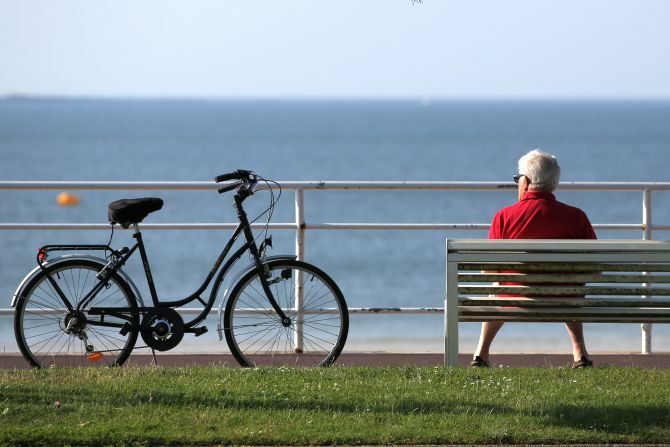 Image: An elderly man sits on a bench next to his bicycle to take in the sun. In his Google+ posting Larry Pge said: “Art Levinson (Chairman and former CEO of Genentech and Chairman of Apple, and also now CEO of Calico) and I are excited about tackling ageing and illness. These issues affect us all - from the decreased mobility and mental agility that comes with age, to life-threatening diseases that exact a terrible physical and emotional toll on individuals and families. The name Calico is short form of California Life Company. 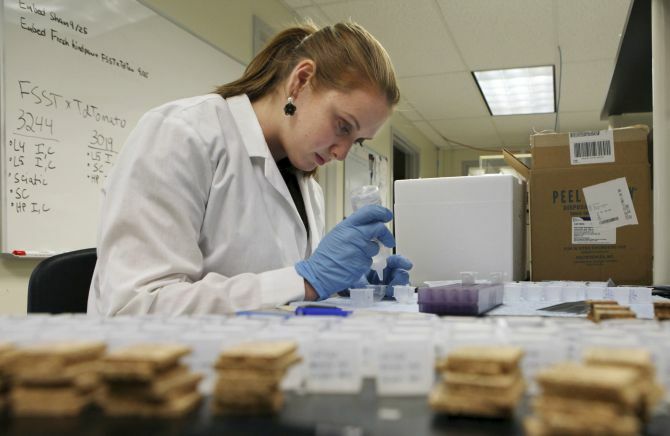 Image: A researcher works in a laboratory. The project uses high-altitude balloons that create an aerial wireless network with up to 3G-like speeds. 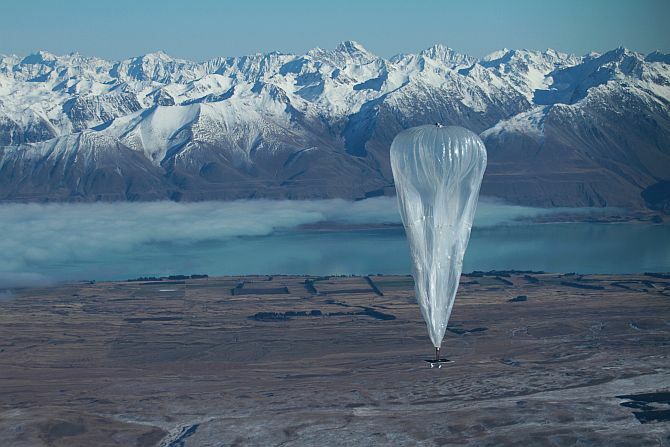 Project Loon balloons float in the stratosphere, twice as high as airplanes. They are carried around the Earth by winds and they can be steered in the desired direction. People connect to the balloon network using a special Internet antenna attached to their building. The signal bounces from balloon to balloon, then to the global Internet back on Earth. 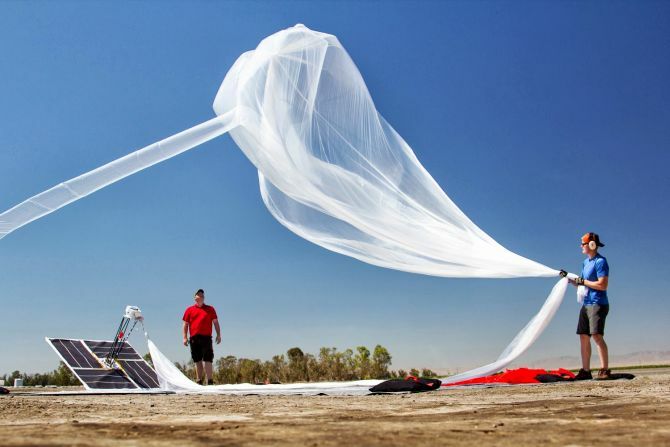 Project Loon’s balloon envelopes are made from sheets of polyethylene plastic and stand fifteen meters wide by twelve meters tall when fully inflated. When a balloon is ready to be taken out of service, gas is released from the envelope to bring the balloon down in a controlled descent. Google X is a secret facility by the company located half a mile from the corporate headquarter in Mountain View, California. All futuristic projects of Google run here including Project Loon. There have been unconfirmed reports that the company is working on space elevators at Google X. Space elevators have the ability to transport people from Earth into space without the use of large rockets. 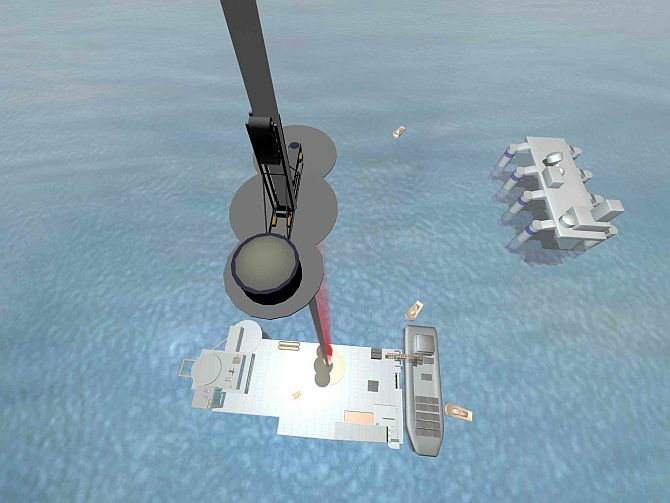 Image: A conceptual drawing of a space elevator lifting off. According to news reports, Google founders have fancied space elevators for a long time. “An Earth-based space elevator would consist of a cable with one end attached to the surface near the equator and the other end in space beyond geostationary orbit (35,800 km altitude),” according to Wikipeida. Using high-end technology, people in capsules can be propelled into space. One of Japan’s big construction company, Obayashi Corporation, had even claimed in 2012 that in 38 years it could build a space elevator using carbon nanotube technology. It would travel at 200 kilometres per hour and take passengers into the space in 7.5 days. 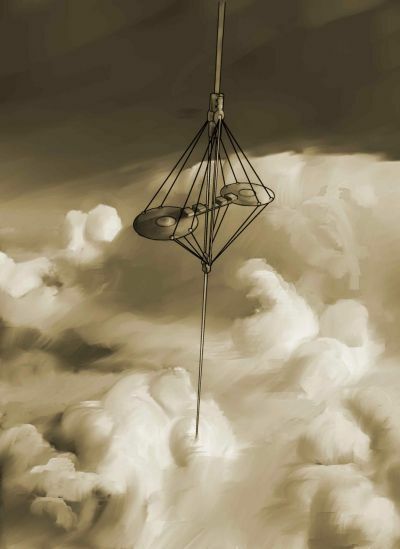 Image: An artist's impression of a space elevator climbing through the clouds. Another fantasy that the Google founders want to turn into reality is driverless cars. The work is already under way for this project and the software powering this technology is called Google Chauffeur. The project is currently being led by Google engineer Sebastian Thrun, director of the Stanford Artificial Intelligence Laboratory and co-inventor of Google Street View. 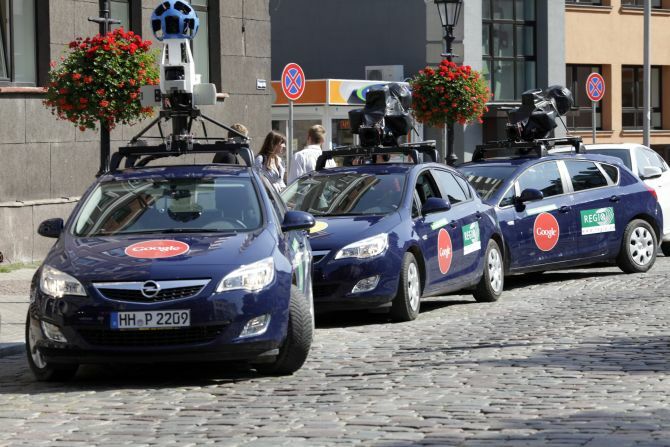 Image: Google Street View cars are parked in Riga. The project team has equipped a test fleet of at least ten vehicles, consisting of six Toyota Prius, an Audi TT, and three Lexus. By last year, the company had already completed 300,000 miles of computer-led driving. According to reports Google had no immediate plans to commercially develop the system. It rather plans to market the system and the data to automobile manufacturers. 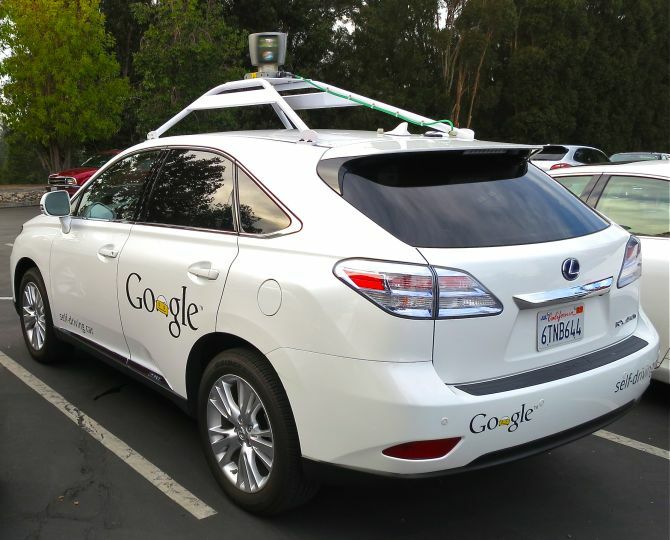 Image: RX450h retrofitted by Google for its driverless car fleet. 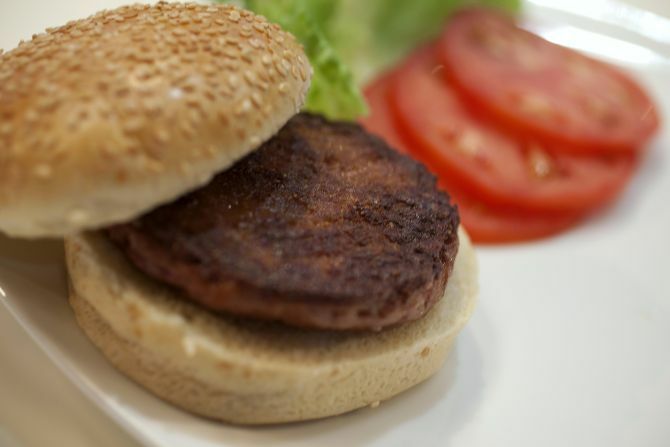 Last month, scientists unveiled a burger ‘grown’ entirely in a lab that was developed at a cost of $330,000. And, the project was backed by none other than Google co-founder Sergey Brin. The ‘Frankenburger’ was made using strands of meat grown from muscle cells taken from a living cow, mixed with salt, egg powder and breadcrumbs and coloured with beetroot juice and saffron. Image: Professor Mark Post holds the world's first lab-grown beef burger during a launch event in west London. The project was led by Professor Mark Post of Maastricht University in the Netherlands. He claims that lab-grown meat can hit the market within next 20 years. In fact, there has been a public tasting of this meat at a west London theatre. If you wondering why would Google fund it, think about food security and growing global demand for meat. 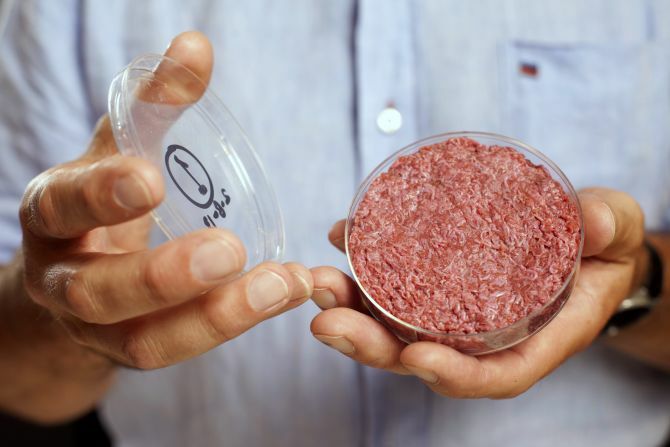 Image: The world's first lab-grown beef burger is seen after it was cooked at a launch event in west London. 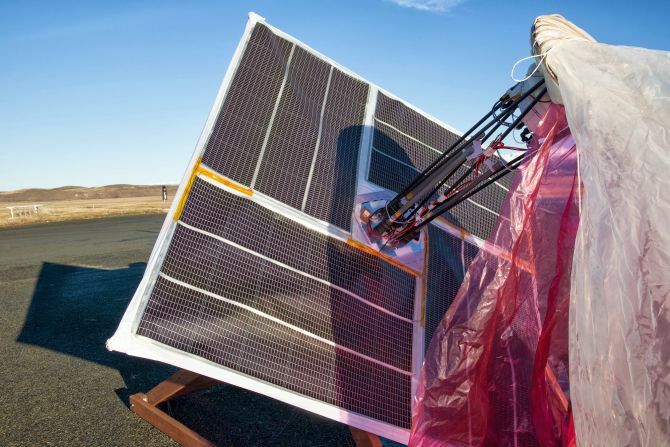 Google has committed over $1 billion to renewable energy (wind and solar) projects. Some of its commitments include $103 million in Mount Signal Solar, a $12 million investment in the Jasper Power Project (solar), $200 million in a 161 MW wind farm in Oldham County, and many more. 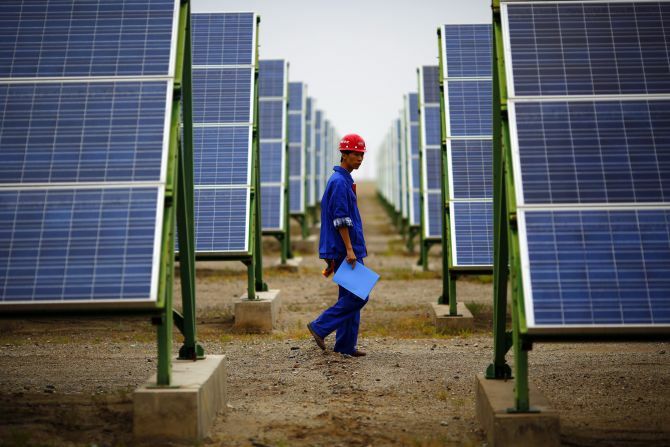 Image: A worker inspects solar panels at a solar farm. 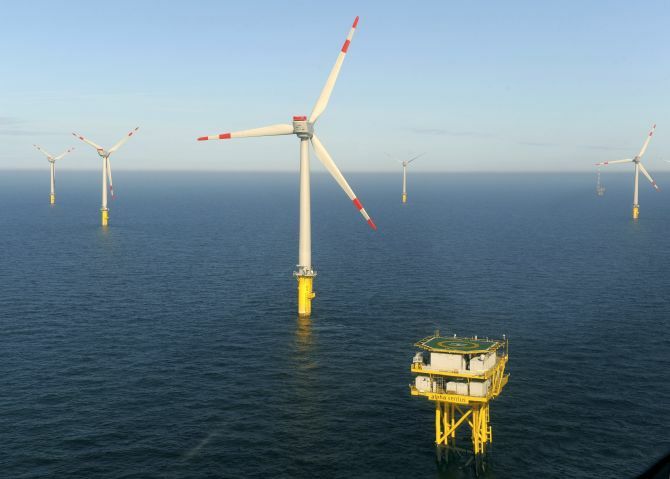 The investments in green energy will not only help Google earn profits in the future; it also helps the company offset liabilities with investments in clean energy. Image: An aerial view of the offshore energy park. Google wants you to be able to control every device in your home from anywhere you are. Imagine switching off your home lights while you are in office or washing clothes at home while taking a walk. 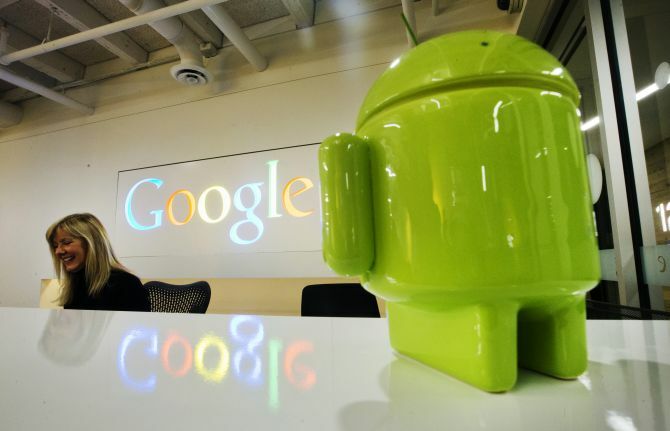 Sometime back Google introduce framework for a project called Android@Home. It wants every appliance in your house to be controlled by an app in your phone or tablet. Image: A Google Android figurine sits on the welcome desk. One of the first step towards this was a tie up Lighting Science Group, which manufactures electrical equipments. Lighting Science has already started selling first Android-connected LED bulb. This is an energy efficient bulb connected that can be controlled and monitored via Android operating system. 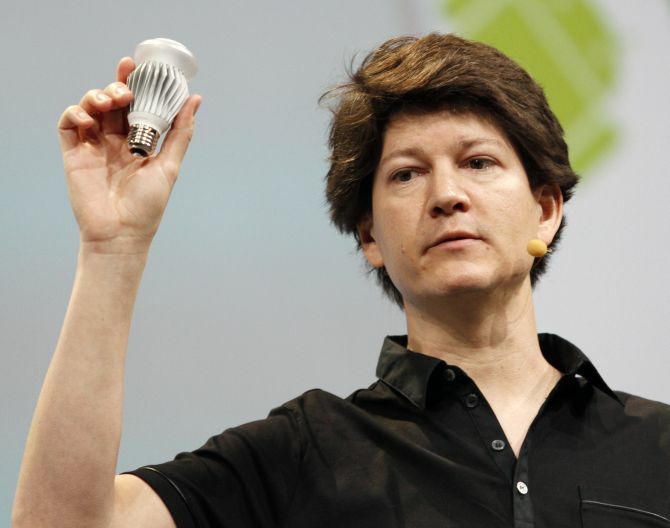 Image: Joe Britt, engineering director, shows off a Smart LED light bulb, which can be controlled using Android devices during the keynote address at Google IO Developers Conference in San Francisco. Google has invested in a company that is trying to change the cancer treatment. Foundation Medicine is a molecular information that studies genome sequencing of cancer patients, which can help doctors to treat patients better. The future of this technology is that it can help to usher in a new era of ‘personalised medicine’, where doctors would treat patients based on genetic knowledge. 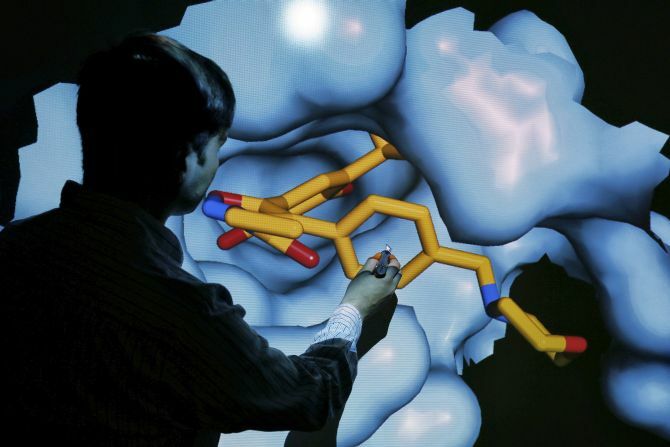 Image: Scientist Nathan Brown moves a 3D model of a HSP90 protein on a screen at the Institute of Cancer Research in Sutton. The company has an interesting history. Apple Co-founder Steve Jobs used this kind of testing offered by Broad Institute of MIT and Harvard. Doctors who were researching on the subject started their own company Foundation Medicine. Post Jobs death, Bill Gates and Larry Page funded the company to help others like Jobs. 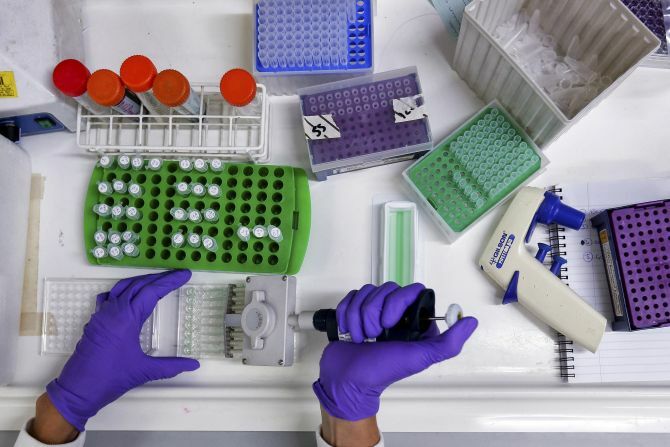 Image: A scientist prepares protein samples for analysis in a lab at the Institute of Cancer Research.